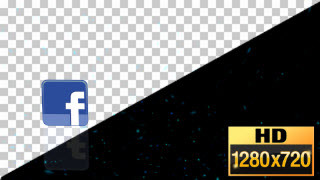 Pre-rendered (transparent) Facebook Sliding Social Media Background Chroma Keyy. Rendered on transparent background. You can easily place this layered above your video or combine different layers to create your own unique videos. This video is perfect for promotional sales videos that have text appearing on screen.